I'm always a little disturbed by the ad on TV that says we can make Mars a "better planet". It's a fine planet just the way it is. Maybe it'd be easier to look at security camera footage from Dorothy's house with one of your iPhone apps? Edited to add...Though not NEARLY as much fun. 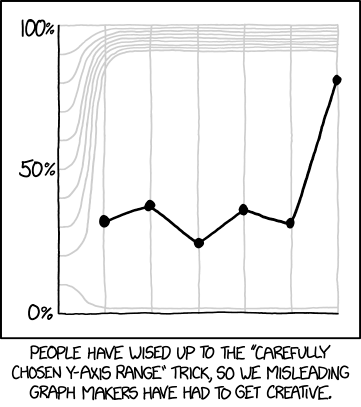 XKCD, muddying the English language since circa 2005. Calling a lifeboat a boatboat is incorrect, though. What we really want is the big boat that is carrying the life boat, but I don't think there's a proper term for this. It's like CPU guy vs. GPU guy! Assuming that cannon will shoot all 500 at once, that is. Ah! I always wondered how that worked! I'm not entirely sure what you'd be secretly surveilling looking at the sky, however. For what it is worth--English buns are different from American buns. English ones (European) live in colonies aka warrens; American buns (cottontails) are generally solitary--or at least, they don't share burrows. Hmm. Might I suggest it's about time to go out and mow the lawn? Come to think of it, maybe the grass really does have a good reason to hate him. Hmm. Missing valence geese. Does that make the flock a free radical? I blame Kevin.